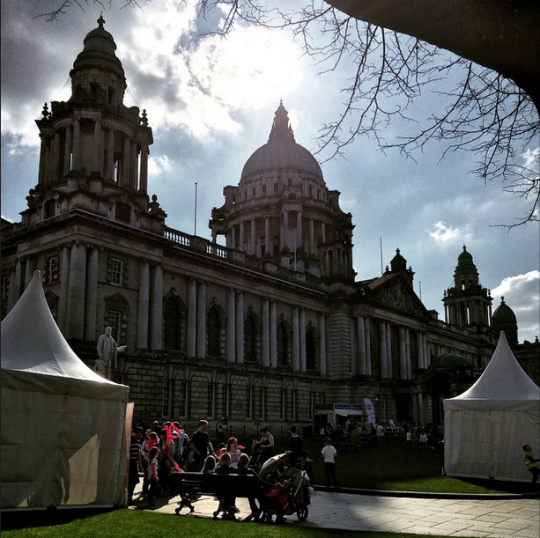 I visited Belfast last week and spent about four days there. Most of my time there was spent exploring the rest of Antrim (Giant’s Causeway, Carrick-a-rede, Carrickfergus Castle, etc) and I spent about 2-3 days in the city exploring it with all the time I had. I have to admit that when I made a four day plan to visit this city, I got some funny looks from friends who were concerned about how I might be bored because there isn’t much to do here. Honestly, that couldn’t be further from the truth. If you’re traveling solo, this is just a great destination to relax with a book when you don’t feel like doing much or just walking around learning everything that went on in Northern Ireland in the past few decades. Without much ado, here’s a quick rundown of what you could do if you’re visiting. 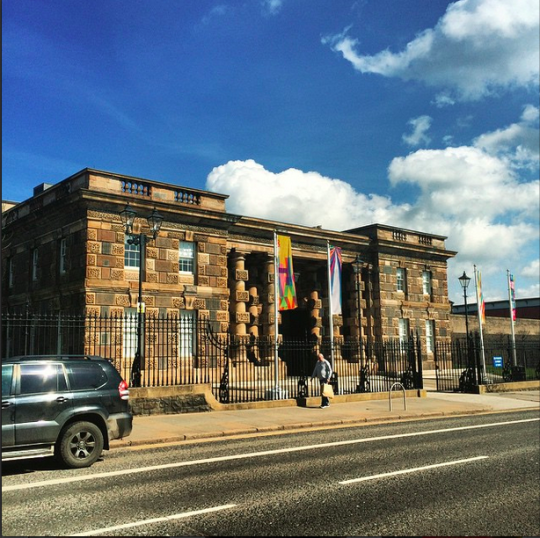 This is THE museum to visit if you’re looking to know more about Belfast. They have a lot of documentation about The Troubles, First World War and its repercussions on Ireland through the British. Towards the end, you’ll find that they have a beautiful gallery featuring ceramics, art, and a lot of other stuff as well. Once you’re done with the museum, there’s the beautiful Botanical Garden right outside which extends to a greenhouse filled with beautiful little plants you can have a peep at. 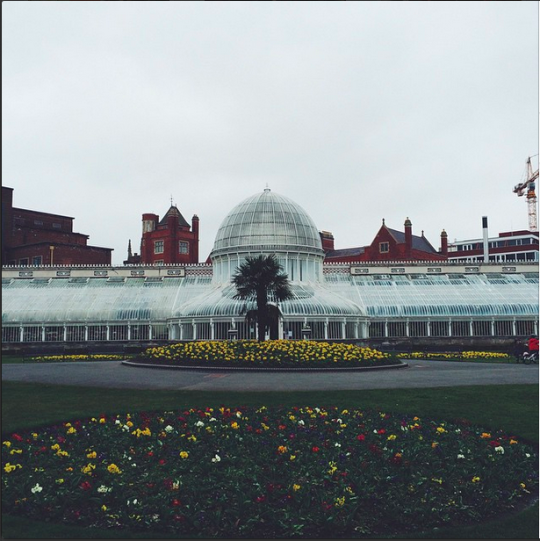 Walking along this garden was probably the most relaxing thing I did in Belfast. There’s a cute little restaurant right outside the museum/garden called Maggie Mays. They serve breakfast food all day and if you’re tired from all that walking in the botanic garden, you deserve a nice plate of Ulster Fry. The City Hall is a beautiful building around the downtown area. I believe you can go in and have a look, but being the admirer of great architecture that I am, I ended up just spending a few minutes outside taking pictures like the one you’re seeing here. Entry to this is not free and you’re probably better off not doing it if you aren’t particularly a marine nerd. It’s a pretty good place to visit if you’ve seen all the Titanic movies and are looking for more material to understand the context of how things went down (quite literally, if I may say so). This museum is FUN. They literally have planes, trains, cars, and bunnies (if you end up in the folk part of the museum as well). The folk museum is essentially a recreation of the Irish milieu about a hundred years ago to put you in the middle of how things might have been back in the day. 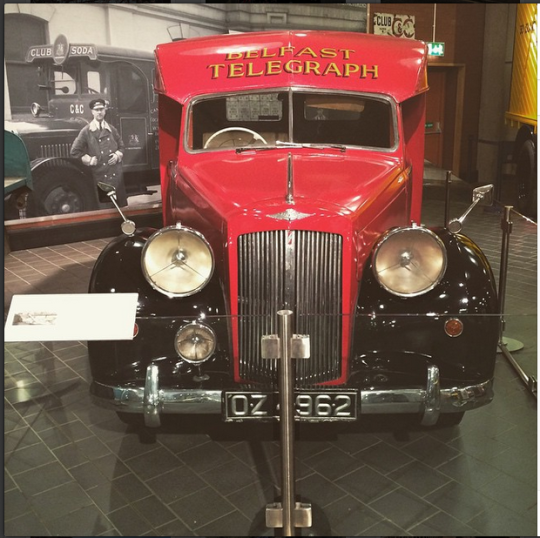 The transport museum, on the other hand, is a celebration of all the public transit infrastructure that existed in Northern Ireland and the Republic before they became independent—this might not be for everyone, but hey, the cars are pretty cool! If you are really patient and want to explore this museum at your own pace, I can assure you that you can spend about 4-5 hours just walking around. Get yourself to Shankhill Road and you’ll start noticing all the murals one by one. This is just the perfect way to immerse yourself into how things were during The Troubles. This ain’t free, but God it’s worth it! Visiting this facility was like a long History lecture that is actually fun. You get to relive how prisioners were treated in the Victorian Era in addition to a few other things I wouldn’t want to spoil for you. Hopefully you’ll find some of these activities interesting while you’re there. If you manage to do all these within a day or don’t have plans to get to all my suggestions, just get a bus tour from Belfast and head over to the Causeway—you will not regret it. P.S. The pictures are all from my Instagram if you’re looking for the source.